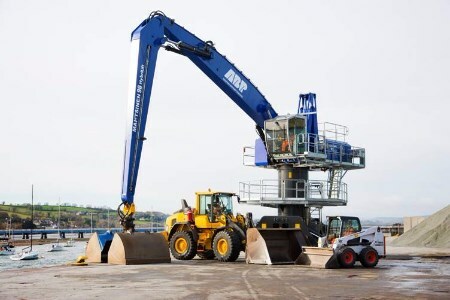 Associated British Ports’ (ABP) Port of Teignmouth has continued its strong year of investment in infrastructure with a further £900 000 in new plant and equipment. The port has taken delivery of three new pieces of equipment: a new Mantsinen 90 m crane, a Volvo loading shovel and a Bobcat skid-steer loader all intended to improve ship and store operations at Teignmouth, UK. These purchases follow the dredging of the main channel by the Teignmouth Harbour Commissioners to allow larger vessels to enter the port, and the construction of a new bulk store by ABP worth £550 000. Short Sea Ports Director Andrew Harston, said: “The Port of Teignmouth handles around 350 000 tonnes of cargo each year and provides a vital link for local importers and exporters in Devon. We want to ensure the customers who use our port have access to reliable facilities, which help their businesses. “Teignmouth’s investment is representative of the overall investment that is being made across ABP’s port estate to ensure we are putting our customers first and providing effective infrastructure and equipment,” he added.